You are priceless! 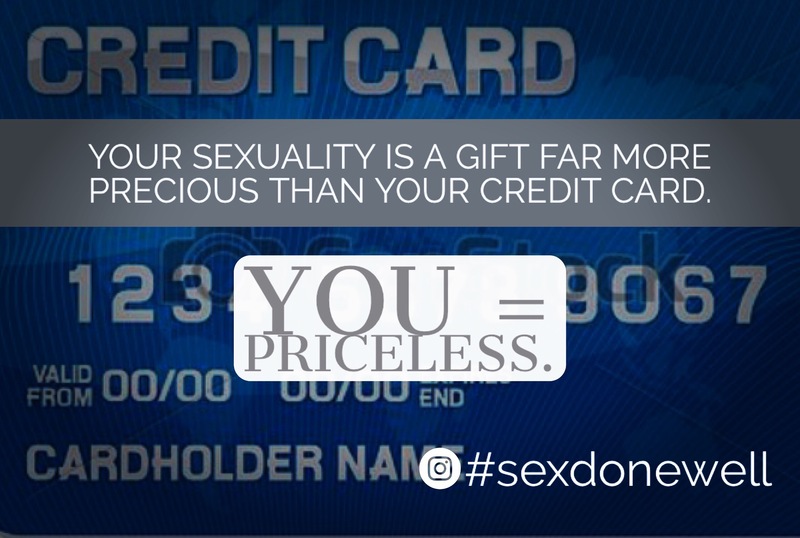 We would never think of sharing our credit card or taking a stranger’s credit card info and yet our sexuality is a gift far more precious than a credit card. Sexuality is something God gave to be shared with your spouse to know and be known exclusively without shame or walls the same way He intends our spiritual relationship with Him to be. Treasure the gift you have and that you are!